Wayne Mutual has a Best's Rating of A- (Excellent). A.M. Best Company is the leading independent provider of insurance company ratings. For the latest rating, access www.ambest.com. For more than a century, the Wayne Insurance Group companies have delivered financial security and peace of mind for families, farms and businesses. As mutual insurance companies, we exist to serve the insurance needs of our policyholders. 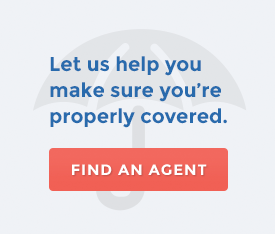 We have partnered with a network of independent agents to offer a full line of insurance programs backed by prompt, fair claims service and support. Founded in 1910, Wayne Mutual Insurance Company provides a wide range of property and casualty insurance programs for automobiles, homes, farms, investment properties, and businesses. Since 1878, Washington Mutual Insurance Association has provided protection for homes, farms and personal property. Our products can be tailored to meet the specific needs of our policyholders. Established in 1881, Marion Mutual Insurance Association offers insurance protection for farms, homes and other property. Our new programs offer expanded capabilities to better serve our policyholders.